A civilization with a distinct mysteriousness and spectacle, the Maya civilization was one of the great pre-historic Columbian civilization, extending throughout the northern Central American region, present day nations like Belize, Mexico, Guatemala, El Salvador, and Honduras. The people of the civilization are known to have possessed superior knowledge of mathematics and astronomy. They were certainly a lot ahead of their time. It was owing to their deep understanding of mathematics and proportions that they were able to build spectacular architectural structures, especially the high pyramid like temples during the classic period of (250-900 AD), when the Maya civilization was going through a phase of urbanization. Located in northern Belize, on the New river, orange walk district. Lamanai is a meso american site, once a considerably sized Maya city occupied continuously for the longest period of time in Mesoameica. The archaeological department is yet to uncover the ancient ruins completely but investigation has been successfully restored the larger structures such as the 33 meter tall High temple, Jaguar temple and the mask temple. 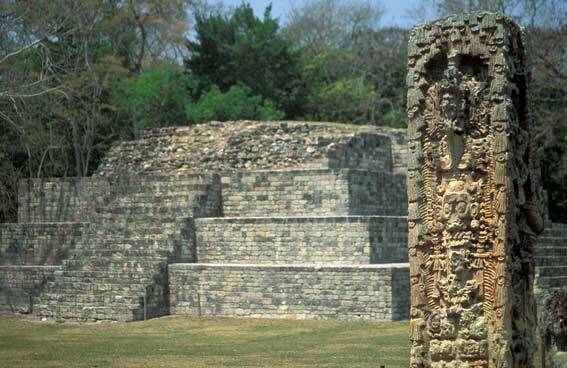 Since Lamanai was still occupied by the Maya when the Spanish arrived, Lamanai, which in Maya means “submerged crocodile”, is one of the few Mayan sites to retain its traditional name. In the Maya language Coba means “water stirred by wind.” Mayans flourished here between 400 and 1100 A.D. It was one of the largest cities of the classic period stretching over 50 miles and with a population of upto 50,ooo inhabitants. Amidst the breathtaking landscape is the Nohoc Mul pyramid (the tallest in the Yucatan at over 126 feet) and the building techniques employed here are characteristic of the Petan region of Guatemala. 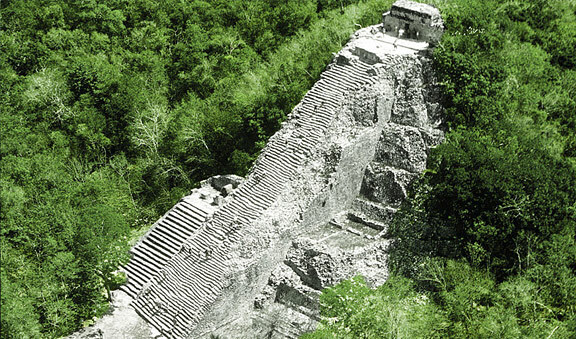 Climbing the 120 stairs to the top of the Grand Pyramid at Coba is well worth the effort as standing there one can see over the jungle canopy for miles and spot unexcavated temple mounds peeping above through the trees. The small temple building crowning the pyramid has two small carvings that are known as the ¨diving god¨ over the door. There are many theories about the meaning of these intresting carvings, which are also found in Tulum. They have also been called ¨the bee god¨ or ¨the god descending¨ and have been associated with the planet Venus. 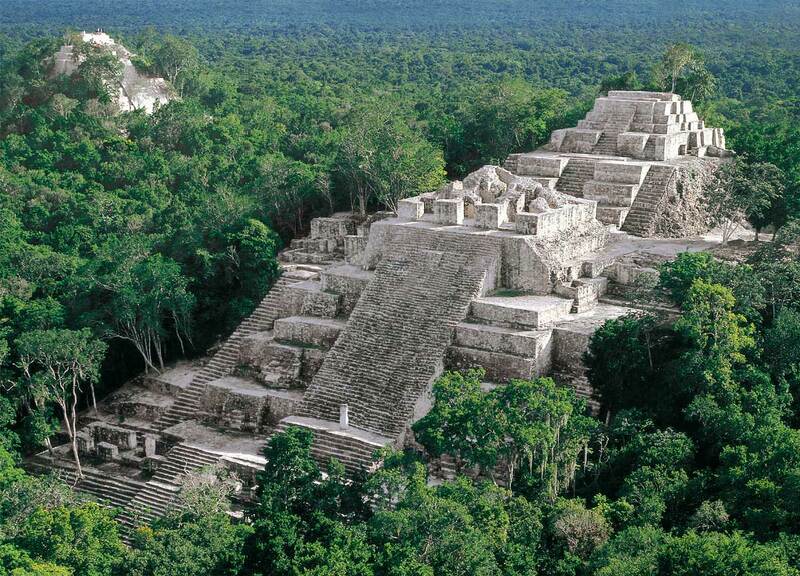 Calakmul is in the Mexican state of Campeche, deep in the jungles of the greater Petén Basin region. It is 35 kilometers from the Guatemalan border. Maya Civilization inhabited Calakmul from the mid-first millennium B.C. to about A.D. 1000, where the civilization reached its climax, but where it also suffered the most dramatic downfall, resulting in an almost complete abandonment of formerly flourishing settlements. It is one of the largest Mayan cities ever uncovered with over 6,500 ancient structures identified. Excavations at Calakmul have revealed stucco friezes and mural paintings in some of the impressively massive temple pyramids and palaces, as well as burials of kings and other members of nobility. The hieroglyphic inscriptions on stelae, altars and building elements reveal important facts about the territorial organization and political history, and some epigraphic records provide information that has not yet been found anywhere else in the Maya Area. Caracol or El Caracol is located about 25 miles south of the town of San Ignacio in the foothills of the Maya Mountains within the Chiquibul Forest Reserve in western Belize near the border with Guatemala. Caracol is huge, in fact, it is the largest Mayan site in Belize, and one of the largest in the Mayan sites across the world. The core area alone is 15 square miles and once supported a population of about 120,000 people. 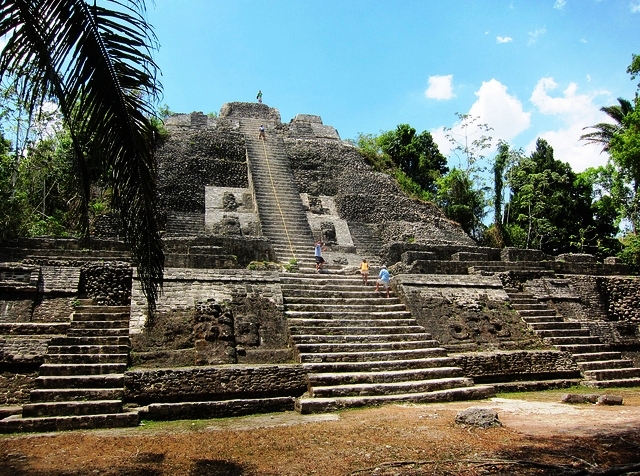 The main pyramid at Caracol is popularly known as Caana or the “Sky Palace.” At 136 feet high it is the tallest Mayan building in Belize and also the tallest man-made structure in the country. Caana contains four palaces and three temples. The palace rooms were originally coated with white stucco and decorated with red paint. That is not all, more than 100 tombs have also been found in Caracol, as well as a rich array of hieroglyphic inscriptions. Tulum, situated on the east caost of the Yucatán Peninsula in Mexico. The ruins of Tulum preside over a rugged coastline, a strip of brilliant beach and green-and-turquoise waters that leave you mesmerized. Tulum was an ancient Mayan fortress city that rose to power toward the end of the Classic period. In the Yucatec language, Tulum means “wall”, referring to the large barricade that surrounds the settlement. 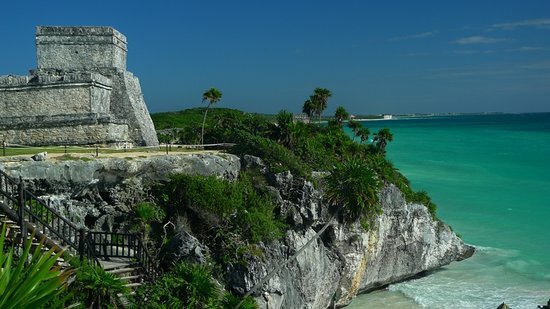 In the Mayan language, Tulum was called Zama, meaning “dawn,” an appropriate name given to its eastern location. Known for the El Castillo, Tulum also houses the Temple of the Descending God – On the façade of this temple is a figure sculpted with its head pointing downwards, the descending god. Tulum appears to be the center of this god’s cult with more descending god carvings found on other buildings. The interior walls show traces of the original pigments/paints applied by the Maya. Copan, considered as one of the most spectacular cities of the ancient Maya civilization, is a ruins complex known for its beautiful stone temples, altars, hieroglyphs, and stelae. It was built between 400 and 800 A.D., until it suddenly was abandoned. Located on the floodplain of the river of the same name, in the Copan Department of western Honduras, not far from the border with Guatemala. It was the most southerly of the Classic Maya centres and at an altitude of 600 metres, the highest. The largest building and earliest funerary monument Structure 16 is a nine level pyramid temple, inside which are two tomb buildings known as Rosalila and Margarita. Temple 16 is believed to be dedicated to the cult of Yax K’uk’ Mo’, the remains in the temple are considered to be of the great ruler himself. In the huge complex exist several other plazas and temples built on various levels and adorned with intricate hieroglyphic patterns and stelaes. Enchanting is the word that instantly comes in your mind when you mention Palenque. 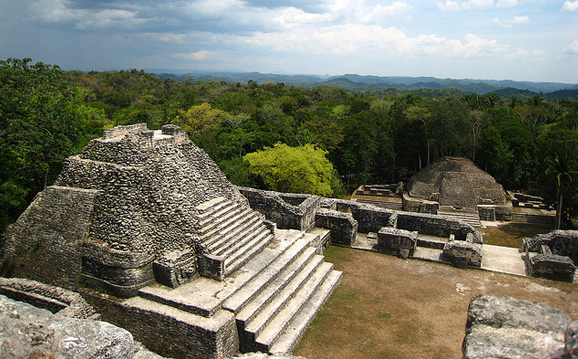 Located on the western edge, of Chiapas,Mexico, Palenque is a famous archaeological site that was the Maya empire. 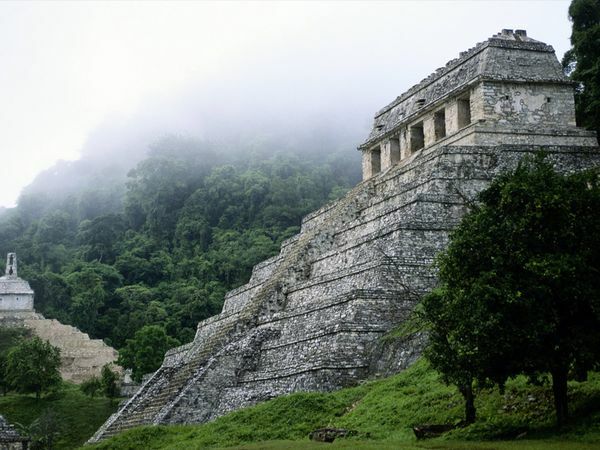 Under the canopy of the dark green forests, soar great pyramids, towers and sprawling temple complexes. The Templo de Las Inscripciones, a burial monument, is the tallest building. El Palacio, the rulers’ residence, was built in stages from 400 AD to 900 AD and underwent restoration in 1955. Even though Palenque is not as big as the other Mayan sites but what makes it stand out is its unique architecture, and detailed carvings. The name Uxmal means ‘thrice-built’ in Mayan. This name refers to the construction of its highest structure, the Pyramid of the Magician which was built on top of existing pyramids stands tall at 115 feet. Located 62 km south of Merida, capital of Yucatan state in Mexico, is the best preserved Pre Columbian Mayan temple in the country. The pyramid is also known as the Pyramid of the Dwarf; both names derive from a legend about a magical dwarf who was hatched from an egg, grew to adulthood in a single day, and built this pyramid in one night. The site consists of various other temples like the Temple of the Macawas and the Temple of the Doves. 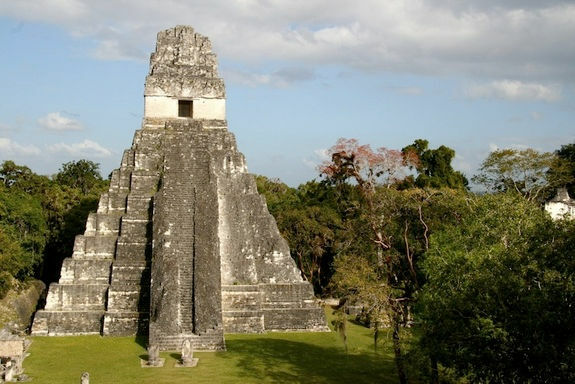 Tikal, one of the most famous and beautiful of Maya sites houses massive and steep pyramids (one is over 200 feet high) looming above the lush jungle of the Peten where one can observe spider and howler monkeys and numerous bird species such as toucans, parrots and macaws. Situated in the lowland rainforest of northern Guatemala, is known for its Twin Pyramid Complexes, whose construction is believed to be driven in part by the famous Mayan Calendar. Other than the towers, Tikal contains 6 very large temple pyramids. 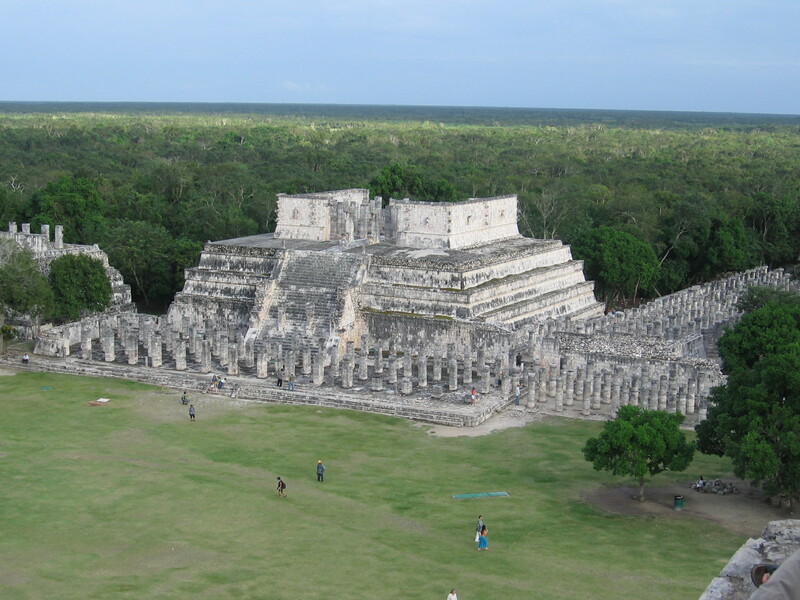 The largest, Temple-pyramid IV, is some 72 meters (230 feet) high and was finished around 720 AD. The majestic Chichen Itza is the most famous of Mayan archeological sites, one of the “New 7 Wonders of the World”, and a UNESCO World Heritage site. Located on the Mexico’s Yucatán Peninsula, Chichen Itza is a place with soaring Pyramids and massive temples. El Castillo, or the grand pyramid, originally named the The Temple of Kukulkan, has a staircase on all four sides, each with 91 steps that totaled with the last step on top equal the 365 days in a solar year. The site also contains a sacred well, Temple of Warriors also known as the Temple of the Thousand Columns. On top of it there is a stone on which steaming human hearts were offered to the gods.